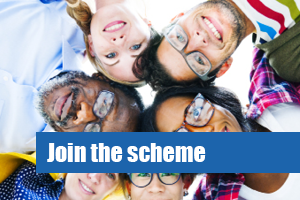 From cooking or cleaning, helping with shopping or bathing, to odd jobs or taxi services providers and Personal Assistants who offer care or support at a client's home or in the community can now apply for approved status as a member of the Support With Confidence scheme. Support With Confidence is run by Local Authorities who provide a listing for residents to search for approved members. Membership is subject to checks by your Local Authority, they will tell you what you need to provide. You will need to include copies of supporting documents to verify some of the information requested, according to the sections you need to complete. Terms and Conditions of Approval are included in application form, and membership is subject to compliance with the Terms and Conditions and Code of Conduct as published on the website. Membership is subject to compliance with the Terms and Conditions and Code of Conduct as published on the website. Before you make any decisions you should contact your local HM Revenue and Customs office (below). Their website says that it is not a matter of choice whether a worker is employed or self-employed – although there is no definition in law. It depends on your circumstances.